Last week I met three science graduates. One person was talking about the issue where even the science graduates do not have proper jobs. Second person told me that now she regret for selecting science as her field. She said, “If I manage to do a MSc, maybe I will get a university lecturer job. Third person was talking about a different issue on our mothers and sisters moving to Middle East and the social issues that come with that. While I sat back and thought of what they discussed, I met this awesome lady, another scientist, Ms Praveena Joseph-de Saram. Praveena is a Sri Lankan Physicist/Biologist/Neuroscientist who invented one amazing product and then turned it in to a business as well. Having graduated from the University of Oxford with an MPhys degree in Physics, she joined the PhD programme in Molecular Biology and Neuroscience at Princeton University planning to have a career as an academic. Instead, following a stint as a Management Consultant with AT Kearney, she is now the CEO of the company she found “Poopooh LLC”. Then I also found that Praveena, who will soon hold the patent for her product, has handed over the production process to rural women in Sri Lanka even though that is not the cheapest way to manufacture it. She believes, that way they can provide for their families without actually leaving the family for a longer time. Then I remembered the first three people I met in the week and the issues we discussed. I was thinking how one person could address and show so many examples to the society. Without any further thought I decided that I must write about her. This is her story. 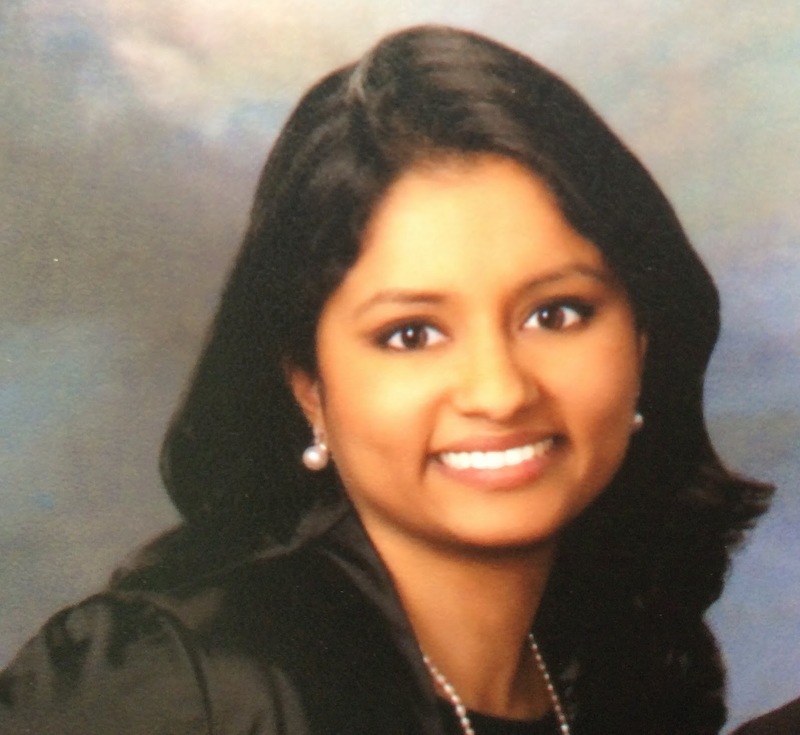 Q – So Praveena, to start with what is your product? Why is it so special? Which part of it did you applied the patent for? A – My product is a paper bag for picking up after dogs. I have two dogs, a golden retriever named Romeo and an English Springer Spaniel named Rosie. As you know, people walk their dogs in public places over in USA and Europe and many parts of the world. They are also generally responsible about keeping their cities clean. So most people pick up after their animals quite diligently. While walking my two babies one day, I noticed that the garbage bins were full and people had left the little plastic bags of dog poop pilled up near them. There was a whole lot of them and I got to thinking about how many plastic bags are used just for this purpose. Just for my two, I would be using nearly 2000 each year! So I felt there must be a more environmentally friendly way to do this. That’s where the poopooh bag comes in – it is made out of paper and cardboard and natural latex glue. All these things are biodegradable. The bags also have a unique design with two scoops for picking up the stuff so one doesn’t have to do the whole “hand through the bag and pick up a warm squishy nugget” thing – which is really not very pleasant. 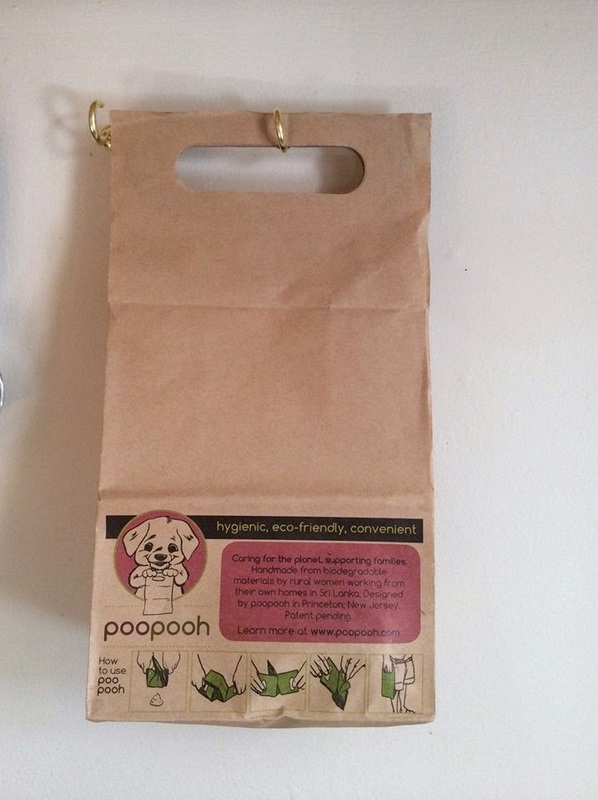 With the poopooh bag, there is no touch, no tying things up – just pick up, flip the stuff inside and that’s it! Once you dispose of it, it won’t stick around forever in a landfill and if you have the facilities to do so, you can even compost the whole bag. Q – How did your product became a business? How did you start? A – I didn’t like using the plastic bags myself. Both because they are not environmentally friendly and because using it is neither quick nor pleasant to use them. It’s not easy to tie up those bags and being transparent, you are left walking around with this bag which is obviously full of poop. This is also invariably the time when you bump into everyone you know! The poopooh bag is faster to use, there is no need to tie it closed, and once the offending poop is inside, you might just as well be carrying around a paper lunch bag for all anyone knows. So the start was about creating a bag I would like to use myself. I just bought some paper and cardboard and got to work designing something (as you might recall from our school days, I was always good with arts and crafts – Niloo used to call me “crafty” as a cheeky little joke;). Once I made a few, I shared them with friends who had dogs or people who would help me with mine sometimes. They all liked it so it felt like a good product to actually put out into the world! Q - How much cost you had to put in in the start, to make products and to inaugurate the business? A – I live in the US and there has been a recent resurgence in the “Made in America” brand. A lot of people are interested in it. So I thought about getting the bags made there at first . I like promoting local products and cutting out transportation wastage and all. It’s really not very different to a paper bag so I thought local paper bag manufacturers could help me. However, that industry is so automated, before one does anything, one needs to invest about $250k into designing and building a new machine/modifying an existing one. That’s a big price tag for a start up so I thought about other ways to get it done. The obvious next choice for me is Sri Lanka since I have always wanted to do something there and particularly, I have been interested in setting up a social enterprise to help our people in some way. For one thing, I think we girls got an excellent education for pretty much free in Sri Lanka (a particularly special thing considering the way women and girls are often treated elsewhere in the SAARC region) and I have always been grateful for that and have always wanted to give back in some way. So I asked around and found a lovely gentleman who works with a network of women in villages. He drops off the raw materials and then picks up the finished goods a few weeks later. This way these women can earn a living and also still stay in their homes. I think we are all aware of the difficulties that children face when their mothers have to leave them to seek work in cities and even in other countries, so I like the idea of providing a way for people to work without leaving their families. In terms of start up cost, the patents were the biggest item. There are pros and cons to pursuing patents quite aggressively and in hind sight, I might have done things a little differently. That’s probably content enough for another post of yours :) However, overall, I spent much less than the price tag of that paper bag machine in the whole start up process (for patents, inventory, design, website creation etc). I’d be happy to talk about the details of all this at some point but the start-up capital needed in each industry is so different I’m not sure my particular experience will be very useful to other entrepreneurs. Q – Tell us more about the production process in Sri Lanka. A – I went into this a little in a previous previous question. I’ve learnt a lot about production in Sri Lanka over the past few years since this is not the first idea I had for making things in SL. Honestly, there are a lot of things I didn’t expect. One thing is that NOTHING in terms of raw materials appears to be made in Sri Lanka anymore. The paper is imported, the cardboard is imported, perhaps even the latex glue is imported. So, as a small business with no dedicated supply chain just to ensure I get the exact raw materials I need, it’s hard to maintain quality or consistency in a design since one doesn’t always know what will be available next month. It was hard to find the right weight of paper and cardboard – the range of weights and colours available here is very limited so one needs to make do. Things might be different for really large scale production where one can directly order what is needed from China but small businesses are at the mercy of what the wholesalers happen to have in stock. I think one also needs to be ok with “working on Sri Lanka time” – which basically means there are no such things as hard deadlines and things will be done when they are done! Shockingly, this is the case when dealing with shippers out of Sri Lanka as well. If I were only concerned with the bottom line, it’ll probably be better to get things made in China, or so I am told. But then one can run into patent infringement issues when dealing with that part of the world. So I am happy getting the bags made through trusted people here. I am also looking at getting the bags made through rehabilitation centers for people with disabilities – that will give them a source of income and more funds with which to run their programmes and also provide work that involves working with their hands, which is important for regaining dexterity in certain cases. Q –I think your family should get some credit too considering the fact that you were brought up in a country where many parents may not wish their daughter to be a scientist. What kind of a support you got from your family throughout your career? A – Hmm, Nish, I am actually not sure that I know women to be discouraged from being scientists here. I know the usual “if you are smart, you have to be either a doctor, lawyer or engineer” thing. It’s probably hard for anyone doing a degree other than those three to find a satisfying and well paid job here – so I think children, either male or female, may be discouraged from pursuing non traditional fields to some extent. For sure, some of our teachers at VV did do a “you are studying WHAT?” double take when I said I was going to read Physics. But I am pretty sure that was because it’s unusual, rather than because I was a girl. All three of my parents (mother, father, step-father) were/are very liberal minded and ahead of their time for Sri Lanka and I never felt any career was closed to me because I was female. Even at VV, I felt like the attitude was that we were good enough to aspire to whatever we wanted. My mother, who was Sri Lanka’s first and for a long time only Speech Therapist, worked in many hospitals here and had to collaborate with a lot of doctors – the only opinion she had was that medicine is a cut throat profession and that she preferred I didn’t enter that field. So physics was entirely my choice. I actually hated the subject till London A/Ls. For that, the syllabus was very interesting and I had a teacher, Mr. Lucien Herath, who made it even more exciting by going off syllabus too often to talk about all sorts of weird and wonderful things. His pet interest at the time was astrophysics (my nephew, who was also taught by him, tells me it is now artificial intelligence) – that’s how I got it into my head that I wanted to be an astrophysicist/ cosmologist. Q - I heard you selected very different subjects for A/Ls. Years later you worked on a research on Electrophysiology/multi electrode array recordings from mouse and salamander retina, immunohistochemistry, genetics, targeting retinal cell populations for reversible inactivation. How did you decided on what to study? A – Hmm, I’m not sure what you mean by different subjects. I studied Biology, Chemistry, Physics and Pure Maths for A/Ls – so I’m guessing you are referring to the mixing of Biology and Maths? I suppose that is unusual in Sri Lanka, perhaps, but I really see no reason why that should be the case. Anyone who wants to study a scientific field nowadays should be competent in Math (and also Computer Science). As far as regrets go, I regret dropping CS, which was my 5th subject at A/Ls and I also regret not paying more attention to developing programming skills while at Oxford. Switching from Physics to Neuroscience, that is a very long story. And perhaps not the best decision I made either. At the moment, I’m not sure it’s something I would choose to do again with hindsight. It was, in all honesty, a bit of an emotional decision to leave physics and study neuroscience and I don’t think such decisions turn out to be very well thought out ones. A month after I started studying at Oxford, my step father was diagnosed with cancer and he passed away as I was entering my second year. I spent that first summer holiday in Sri Lanka (at oxford, summer holidays are 16 weeks long!) and my dad’s condition was really progressing fast with metastases in the brain and all that. He was probably the sharpest person I have met, even to date perhaps, and it was really painful to see that beautiful mind fall apart from disease and also, in a way, strangely interesting (an odd thought, I admit, so perhaps I always was meant to be a scientist). I had also spent many school vacations working with head injured people at the Military Hospital in Colombo, ever since I was about 13 or so. So that’s a lot of years watching people recover from brain injuries. I thought the brain is a mysterious and intriguing organ with a marvelous ability to heal and adapt. So Neuroscience is a great subject to have had the opportunity to study but it’s also a rather young and still messy field so I guess I remain more truly in awe of the elegance that is Physics. My undergrad math tutor used to use the phrase “elegant solution” once in a while – I don’t think I fully understood what that meant until faced with the absence of it :) Physics is a very old field and a lot of the basics appear to be fairly well understood. Neuroscience is very young and it sometimes feels like a lot of groping around in the dark. I suppose that’s why one of the professors at Princeton used to say “Neuroscientists don’t design experiments, they explore!”. Maybe I prefer designing based off a solid foundation more than exploring. Q – Out of your experience, do you have any word to potential science students who read this ? A – At the risk of sounding like a mouthpiece of the Obama Administration (and perhaps plenty of other governments), I’m going to say good science requires solid core skills. My advice to anyone wishing to study any type of science would be to get a solid grounding in math and computer science (since that is important for modeling, managing large data sets, analysis etc). Q –I know for a fact you did not only studied books but also did many other things in life. Today you seem to be very happy and content in life. May be the most important questionJ. How do you live so happily? A – Hahaha, Nish, this is probably the cutest question anyone has ever asked me! I’m really thrilled that someone thinks me in possession of such wisdom as the way to be happy:) I honestly don’t know that I am happier than most other people. I think as you grow older, you learn that to be content, it is really necessary to stay true to yourself (your own values and goals, rather than those dictated by society). I think when we are younger and don’t know better, we live our lives the way other people think we should and get bogged down in trying to achieve goals others have set for us. The difference I see between myself and seemingly less happy friends now, is that I have learnt to try do what I want to do, rather than what other people think I should be doing. But I realize (and maybe you do too? ), that I have the luxury of living this way because I don’t live in Sri Lanka – where every aunty has an opinion about my life, my family, my weight, whether or not I have children etc etc. If I lived there, not only will I have to put up with these opinions, however well meaning they might be, but my family would also have to listen to comments and make excuses for whatever it is that I am appearing to do wrong. There is a lot of pressure in Sri Lanka, particularly on girls, to do such and such and behave in such and such a way, to get married by a certain time, to have children by a certain age etc. And EVERYONE seems to have an opinion about that – regardless of how well they know you or your particular circumstances. I really think no one has a right to decide what you should do or when – except yourself. Or at least, the only people whose opinion I allow myself to be truly swayed by now are the people who have actually noticed and stood with me when the going got tough. That probably means I listen to less than 3 people but I do like to seek out the opinion of people I respect – especially older people. Older people have a way of really knowing what is important in the end. Maybe that’s just hind sight but it’s good to avail yourself of it when you can! Just be sure to ask the advice of people who have already lived a life you admire and respect and not people who will have no understanding of your experiences or problems. Thank you very much for sharing your wisdom with us and all the help granted for this article. We wish you all the very best and good luck. Please visit her web site below for more details. Very inspiring article. Iam a student who wish to enter Oxford University. How did you go there? Do they accept local A/L results as well?